Cabanas, bungalows, cabana rental and daybeds. Once Christmas is over, it doesn’t take long for Las Vegas to get back into the swing of spring and summer. Come mid- to late February, the weather already starts nearing the 70’s and the tourists start looking for a place to lounge and soak in the sun’s rays. That’s probably why some outdoor establishments, such as Wet Republic at the MGM Grand, start opening their doors and their pools as early as March. 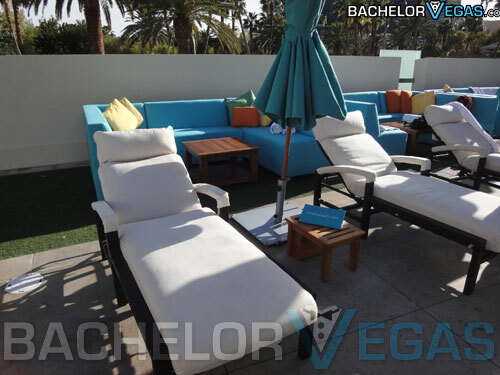 While most states are stuck dealing with potentials for snow and freezing weather, anybody in Las Vegas will get to enjoy an early spring by spending their days partying at this pool lounge. 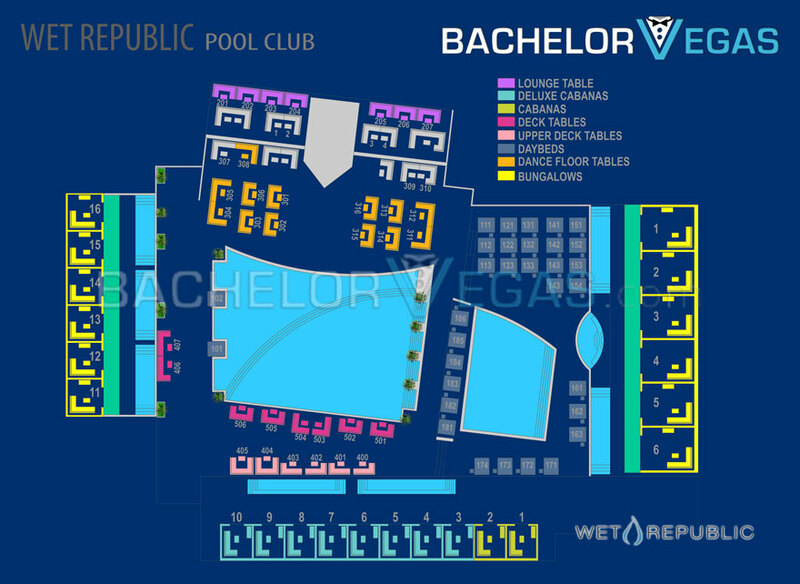 The first and most important thing that everyone needs to know about Wet Republic is the crucial and exciting fact that it is adults only. Nobody under 21, which means you can expect some uninhibited behavior at some point throughout your experience. 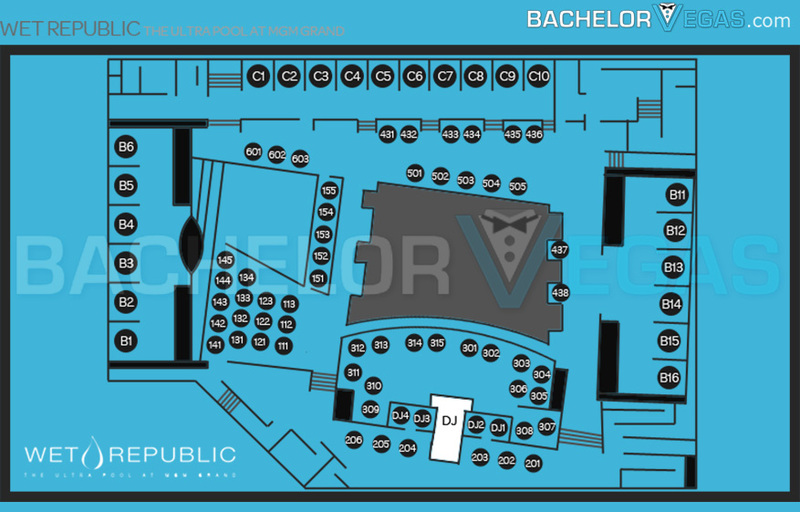 Though the pool party is focused around the three, crisp blue pools, it really is far more than just a pool area. A nearby bar ensures that there is always life to the party while the varying resident DJs work their magic to keep everybody’s bodies moving. Remember those those tame pool parties from middle school? This is certainly not one of them. 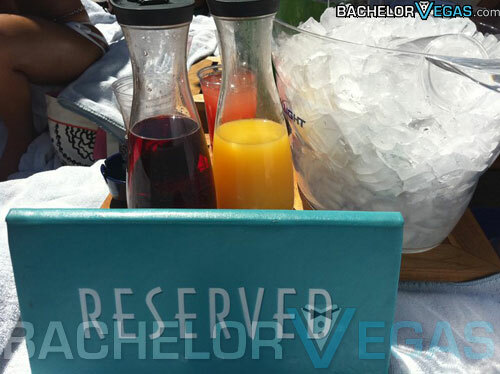 With your beverage of choice in hand, you have the option of either lounging away from the pool to get the most out of your sunbathing or parking yourself right in the heat of the party. The larger of the available pools offers lounge seating right in the water, allowing you the opportunity to simply roll off if you happen to start overheating. 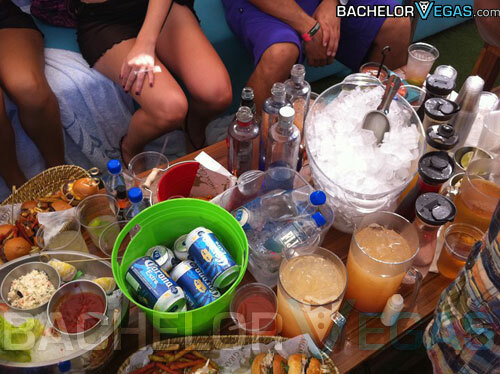 Not a huge fan of the sun, but still want to experience everything that Wet Republic Las Vegas has to offer? 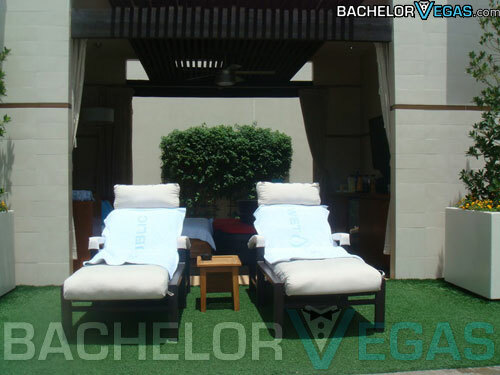 Then you’ll get the most out of renting one of the area’s luxurious cabanas. These private reclusions allow you the opportunity to hear and see the party without having to get right in the midst of it. Additionally, springing for these somewhat pricey escapes will get you your own HD television, perfect for those sport’s weekends when you just don’t want to sit at home. Whether you’re hiding out in your own private area or right in the midst of the action, you’ll want to make sure you indulge in some of the bar’s finest beverages. Whether mixed or straight up, these refreshing drinks are straight up delicious and help keep you energized no matter what you’re doing. This pool party may seem like the ideal location to run off to when the worries of the world start to weigh heavy on you, but it also makes for the perfect spot for any sort of celebration. Gather together some of your closest friends and family for some fun in the sun that you won't soon forget. It has one of those atmospheres that makes it impossible not to enjoy yourself, and the good time is essentially contagious, so expect to unexpectedly mingle with some of your fellow patrons. Whether you're celebrating a bachelor / bachelorette party or just hanging out with your buds, you'll find your party growing rapidly. Of course, there are plenty of noisy and crowded public pools in the Las Vegas area, but if you’re in Sin City, you want to at least try and experience some of the sin. A place like W.R. is the perfect place to start. A little timid as to how to go about getting access? 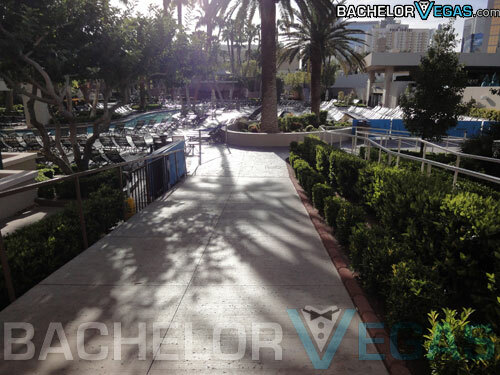 Let your friends at BachelorVegas do the leg work. 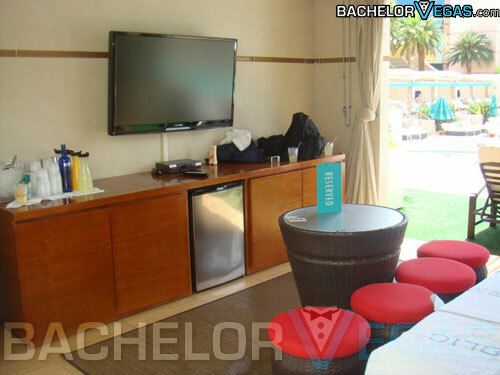 One call, and you’ll find yourself lounging in your own private cabana, being waited on by it’s gorgeous wait staff. 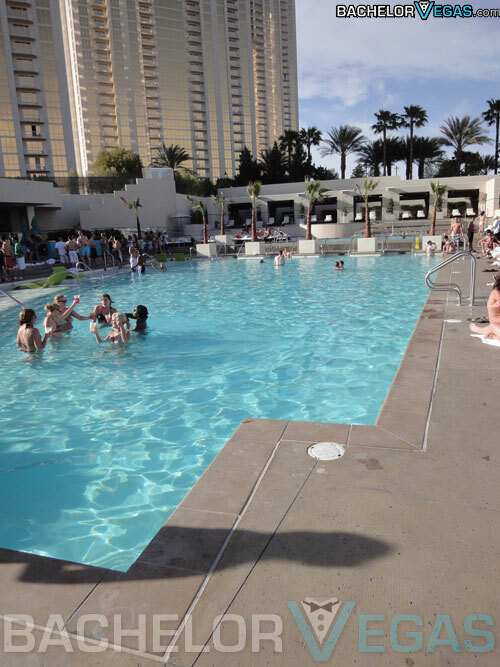 Live the daylife, and experience the MGM’s Wet Republic Pool Party. 5.0 on Feb 20, review by Zoe C.
3.0 on Mat 11, review by Rowland H.